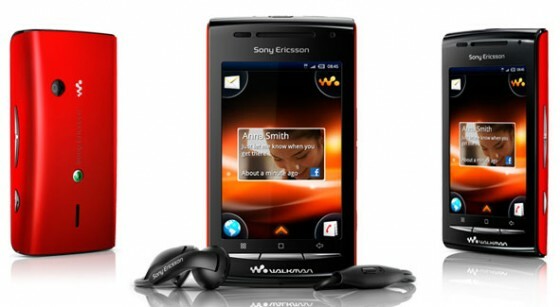 Sony Ericsson Launches the first Walkman Android Phone : We see Xperia X8 being resold! Remember the Sony Ericsson Xperia X8 ! The device was a budget version the the Xperia Lineup. 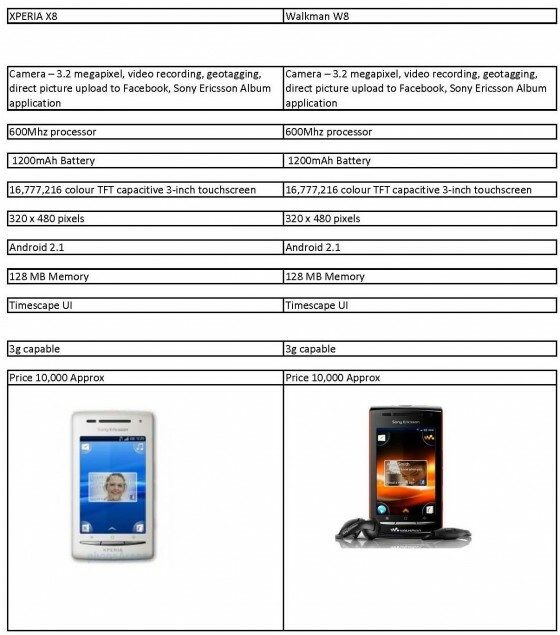 Well, looks like Sony Ericsson is eager to get rid of stocks on hand. 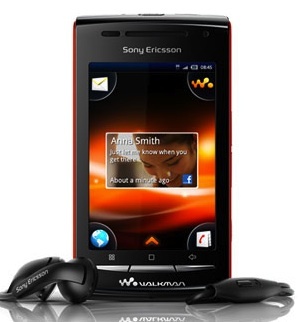 So , the X8 has been slapped with a walkman logo and being sold as the all new Walkman W8. 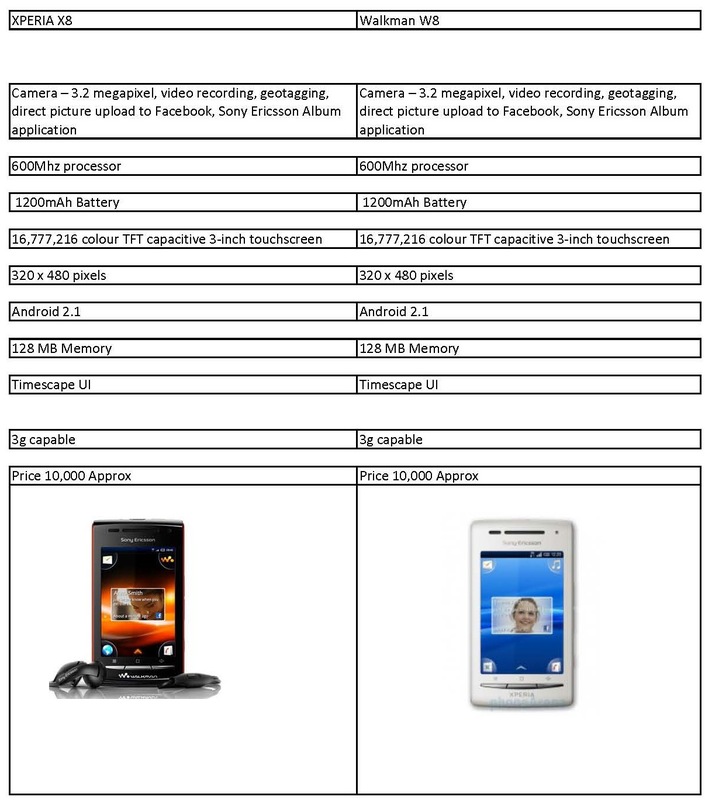 See the spec sheet below, and tell us do you really see a difference in the devices except the strangely unique walkman logo. If you ask us, Don’t buy this phone! You will just be buying something a year old, with a new name.